TCB Analytics is excited to participate in Bio-IT World 2018. Running from May 15-17 in Boston, the conference covers leading technology trends in the pharmaceutical and biotechnology industries. Program tracks include everything from data computing and machine learning, to bioinformatics and clinical genomics. If you’re interested in attending and haven’t already registered, there’s still time to get a free pass that will provide access to keynote sessions and networking opportunities. 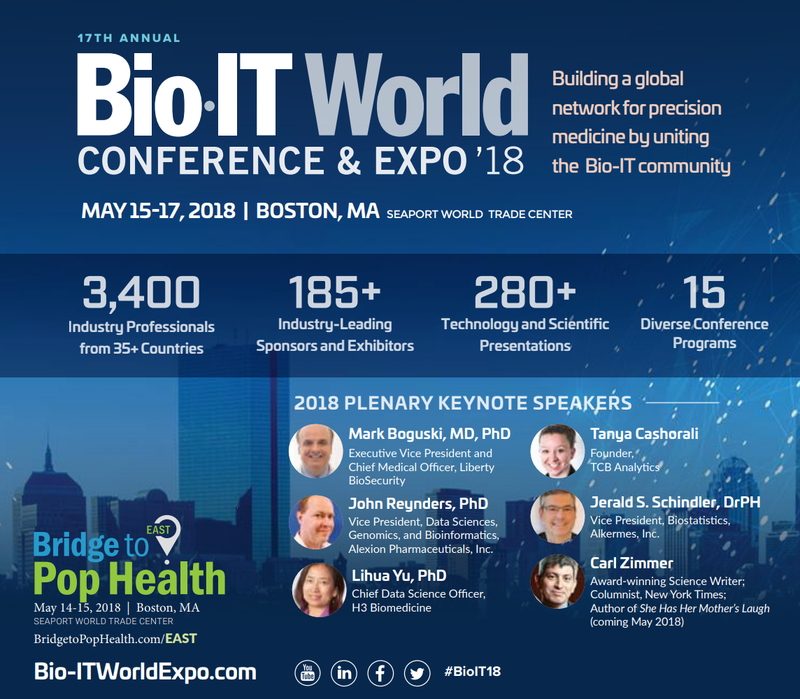 For more information on the event, you can find a conference preview at the following link: http://www.bio-itworld.com/2018/04/16/data-science-ai-genomics-and-much-more-a-preview-of-bioit18.aspx.